Southeast corner from York Street. 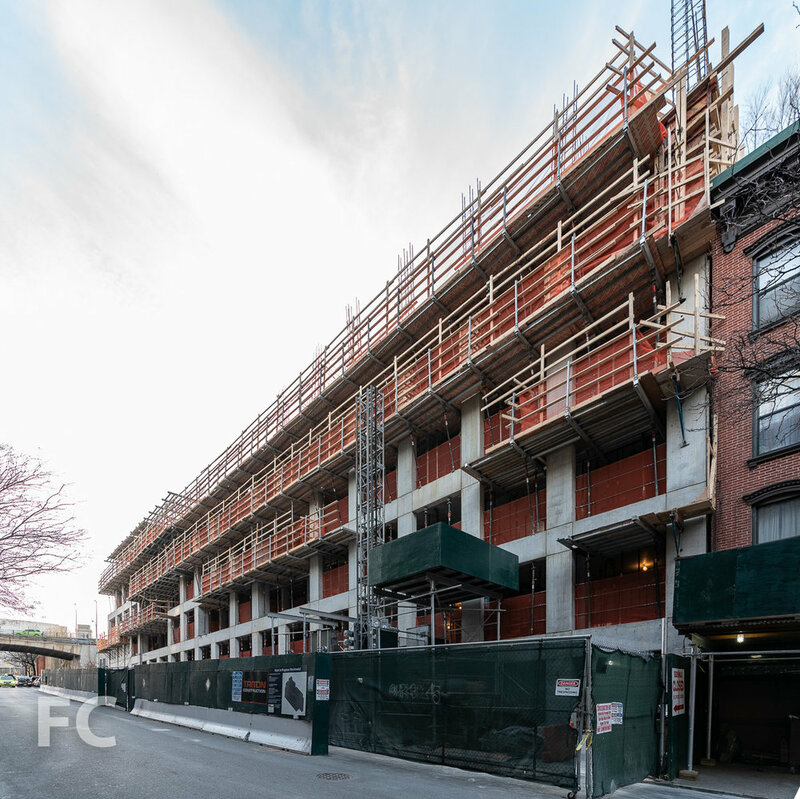 Construction is ongoing at Hope Street Capital’s 80 Adams Street residential building in the DUMBO neighborhood of Brooklyn. Designed by ODA New York, the 10-story building features the firm’s signature eroded massing that will allow for outdoor space in the form of terraces and void spaces throughout. 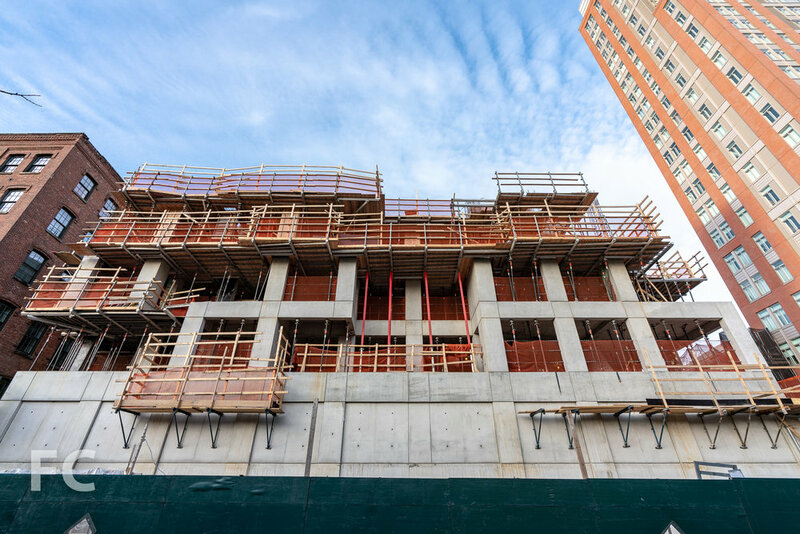 Concrete superstructure has surpassed the halfway mark. Looking up at the south facade from York Street. Southwest corner from York Street. Southeast corner from Adams Street. East facade from Adams Street. Northeast corner from Front Street. 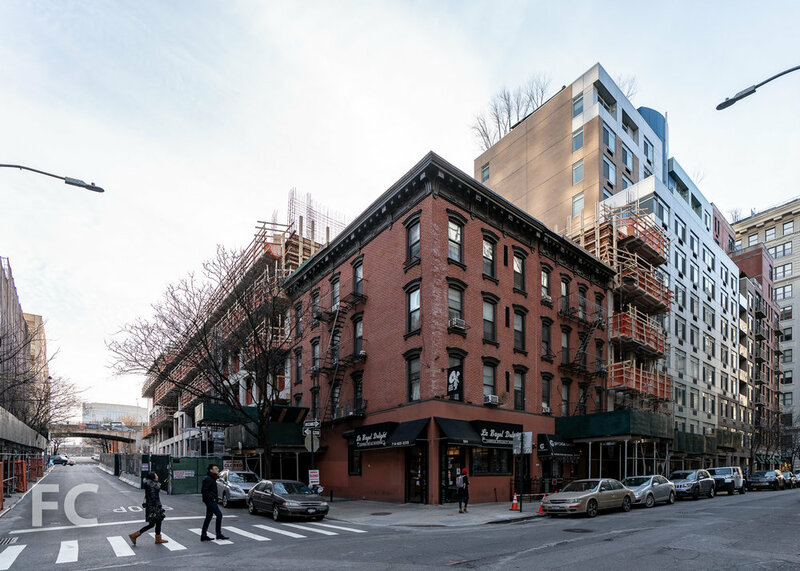 Architect: ODA New York; Developer: Hope Street Capital; Program: Residential, Community Facility; Location: DUMBO, Brooklyn, NY; Completion: 2020.